Dr. Daniel D. Jones is a Professor in the School of Criminal Justice at Walden University where he has been a Contributing Faculty Member since 2014. He is also a Criminal Justice Professor at Governors State University. Dr. Jones serves on numerous doctoral student dissertation committees. Dr. Jones completed his Ph.D. at Capella University, his graduate degree at Southern Illinois University and his undergraduate studies at the University of Washington. His research interests lie in the areas of Criminal Justice, Criminology, Corrections, and Social Justice - ranging from theory to design to implementation. He has collaborated actively with researchers in several other disciplines of criminal justice, particularly in the use of deadly force at the local, municipal and federal levels. Dr. Jones has served on roughly 30 conference and workshop program committees. 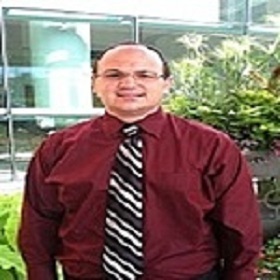 He is a dissertation Chair, Committee Member, and University Research Reviewer.